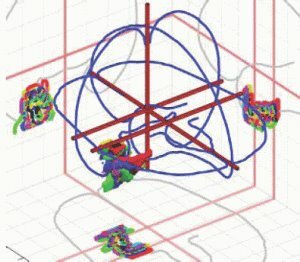 Human brains differ in size and shape, and one goal of spatial normalization is to deform human brain scans so one location in one subject’s brain scan corresponds to the same location in another subject’s brain scan. Human brains are like fingerprints. On a general level they are alike, but they differ significantly when we look at the details. There are large individual differences if we look at where sulci and gyri appear and disappear in the brain; even whether you have one or two sulci. Krishnan et al. have looked at the hippocampus, and found large variations in the position and extent of spatial normalization, not only due to sample size (i.e. how many subjects were included), but also when comparing the operation in patients with Mild Cognitive Impairment and healthy subjects. Put another way, if you do spatial normalization — which you do if you want to compare groups at the brain level — the operation may induce a bias in your results. For example, it may lead you to think that the loss of hippocampal gray matter is larger than it actually is. To open up the lid slightly to one of my forthcoming publications, we have looked at more structures of the medial temporal lobe, including the temporopolar, entorhinal, perirhinal and parahippocampal cortex, as well as the amygdala and hippocampus. We have found that spatial normalization of these areas leads to significant dicplacement of the different structures. It’s sometimes so bad that what is identified as the perirhinal cortex in the original brain (native space) is partly displaced into the hippocampus. This has a tremendous impact both theoretically and clinically. There is currently a huge interest in this region and whether it is specifically operation in memory (the Squire-Zola model), or whether it has additional roles in visual perception, novelty processing and cross-modal perception (see latest article by Buckley & Gaffan). Think of it: if you go through all papers reporting hippocampal activation in an fMRI paradigm, but if you re-do the analysis properly, or look at the individual scans, you see that most of the hippocampal activation is actually perirhinal. I’ll never trust a spatially normalized image again. OK, to some people this is old news, but let’s face it: most of us eat the results from group studies raw, without chewing too much about how these images were made, i.e. normalized. Well, now I hope you do.